I love being a dentist. Over the years, I have had the opportunity to meet so many wonderful people, and the friendships that I've built with my patients and their families are one in a million. It has always been my focus to make each patient feel at home when they come to me for treatment; and, I work hard to give my patients the attention they deserve. I also participate in a number of study clubs. Outside of the office, I enjoy spending time with my husband and children. We like to sail, play tennis and cross-country skiing and I enjoy coaching soccer and basketball. I am truly blessed to live and work in such a wonderful community. I enjoy getting to know my patients and their families, and it is always such an honor to know that I have made a difference in so many of my patients' lives. I couldn't ask for a better job or for a better group of people to be sharing their smiles with me. I look forward to working with you. Dr. Abe and the staff of Somerset Dental on James would like to welcome Dr. Abenaa! 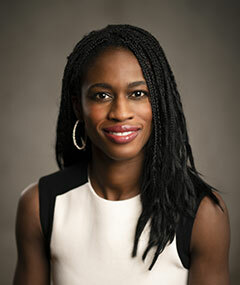 Dr. Abenaa is a native Albertan who has recently relocated from British Columbia. She returns with over ten years of experience in dentistry. We welcome her commitment to continuing dental education, patient care, and client comfort. Her professional interests include pediatrics, orthodontics, dental surgery, and cosmetics, including Botox. Dr. Abenaa is well known for her kind caring nature, gentility, and large smile. 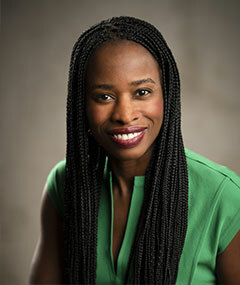 When she is not working Dr. Abenaa enjoys practicing yoga, travelling, and spending time with her close friends and family.